Seven years have passed since Crowned Heads released Four Kicks, the company’s freshman release. It is the cigar that validated Crowned Heads in the industry. 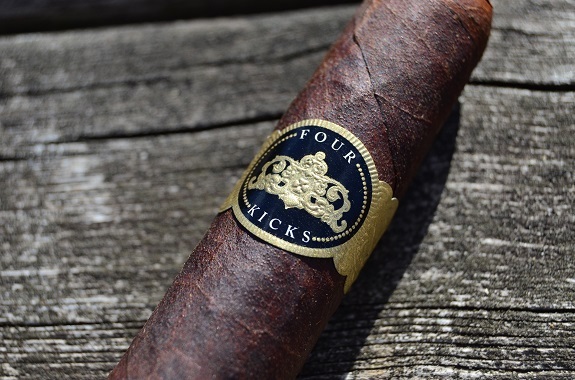 Jon Huber and Mike Conder have kept the momentum going since their first release, but Four Kicks is the cigar, I believe, that encapsulates the spirit of the company and its people. You can purchase the Four Kicks Maduro from our good friends at Famous Smoke Shop. 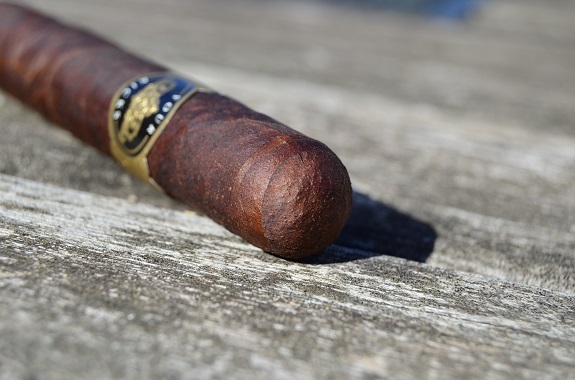 The Four Kicks Maduro is dressed in a dark, marbled Connecticut Habano wrapper with some significant color variations. A heavy amount of oils coat the bumpy and toothy leaf. 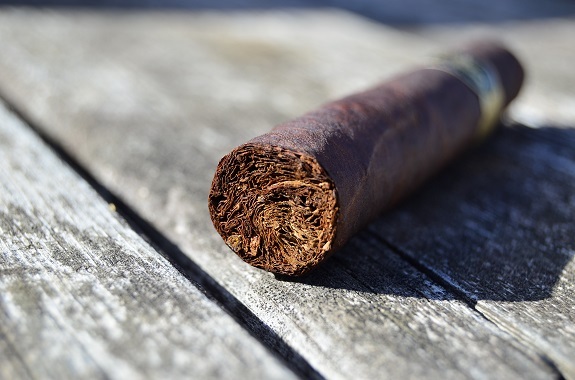 The cigar is firmly rolled but, near the foot of the cigar, there is a small indention or void in the tobaccos. As I bring the cigar to my nose, there is straight up pungent, barnyard aroma. A more welcoming aroma is found on the foot with some cedar, chocolate, and pepper. Upon cutting the cap, a perfect draw opens up allowing cold draw flavors of cedar, cherry, and potpourri spices to move freely across my palate. 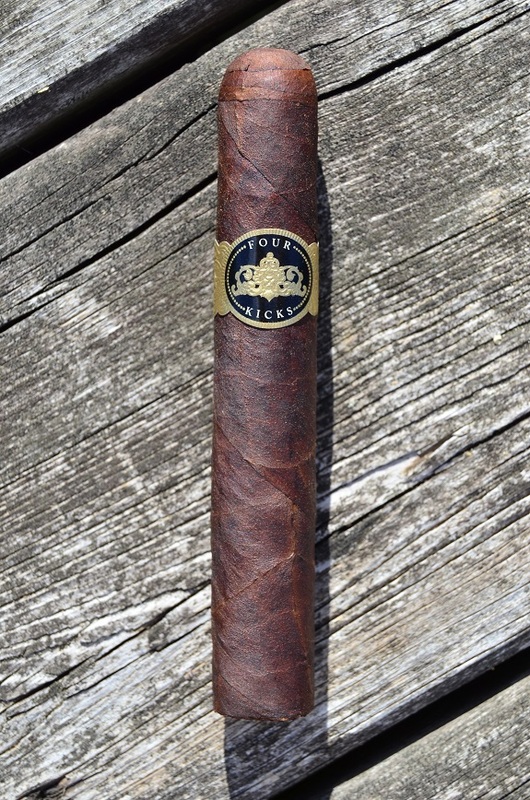 The Four Kicks Maduro opens with full flavors that kick my senses into high gear. The flavors are balanced and the smoke is smooth in the mouth. Dark flavors of earth and coffee are accompanied by a healthy dose of pepper and a light cola sweetness. As I progress through the first third, the sweetness gradually picks up. 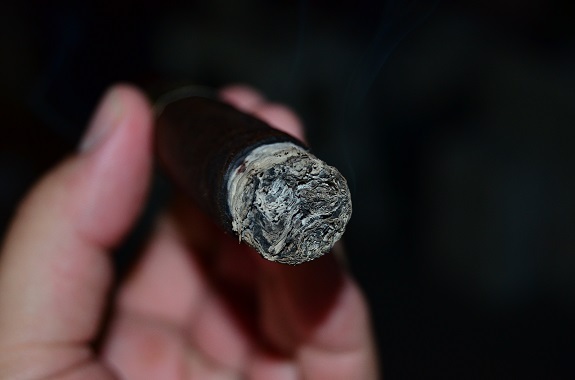 The Four Kicks Maduro is burning along with a minor wave as a salt and pepper ash forms. As I enter the second third, I perform a quick touch-up. The intensity of the flavors has settled, but I am already feeling some strength from this 5 by 50 cigar. The earth and cola flavor continue while cocoa and coffee linger on the finish. The sweetness is really pulling through on the finish of the smoke. The sweetness has exited the profile while the earth holds strong and a charred wood flavor is now appearing. The charred wood flavor dominates on the retro-hale in the last third as a minor wavy burn closes out the cigar. 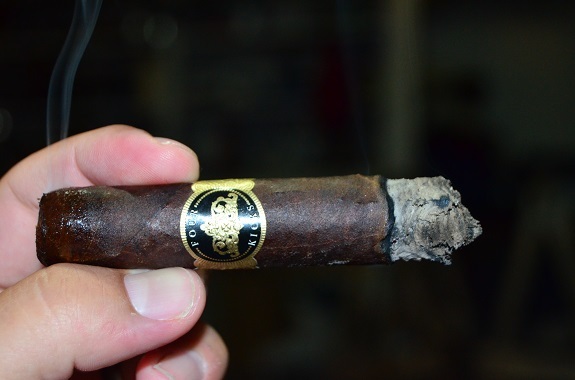 Several months ago, I lit up the Four Kicks Maduro with my close friend and former boss. 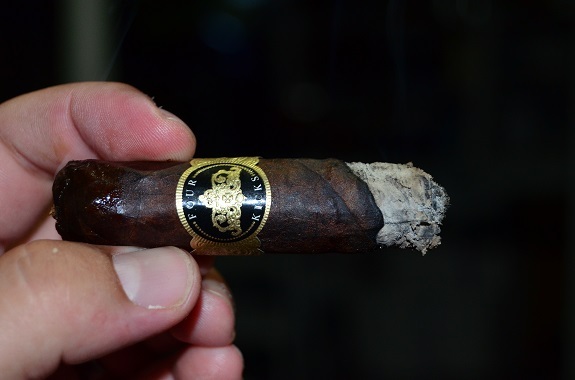 As soon as the smoke started flowing, I knew this cigar was something special and one I had to review. Full flavors, medium/full strength and a hefty amount of spice are masterfully matched up with balance and smoothness. Other than a single touch-up, I have no complaints on the performance. The price of $9.60 is a little more than I prefer to spend on a regular smoke, but the Four Kicks Maduro is one that is worth it. Related Itemscigar reviewcrowned headsFour KicksFour Kicks MaduroFour Kicks Maduro Cigar Reviewjon huberTabacalera La Alianza S.A.